Are your kids tired of the same old math fact worksheets? Of course they are, but they still need practice. Here's a solution. 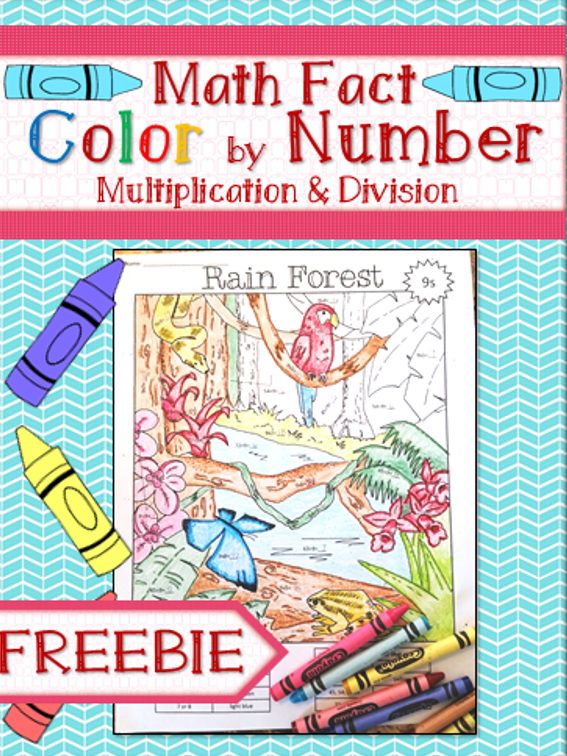 Kids solve multiplication and division problems and then color the page based on the answers they get. It's great for homework, seat work, early finishers, or even a sub day. 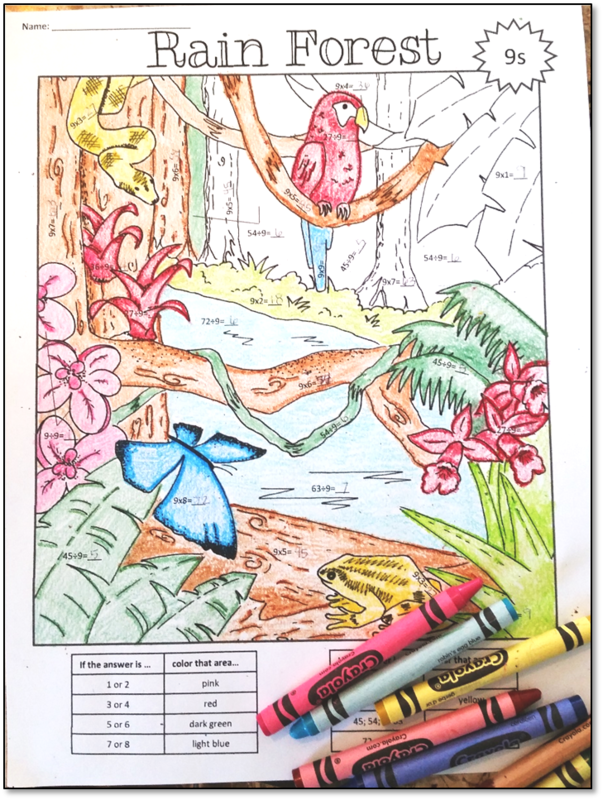 If you happen to study habitats, it's also a nice tie in since it's rain forest themed.